High blood pressure – also called hypertension – is a bigger problem than ever. The World Health Organization has named it as the number one risk factor for deaths related to heart disease and it is a condition which effects an astounding 1.5 billion people all around the world. With a number like that, finding natural alternatives to current medical practice has become more important than ever. That is why so many people are getting excited about using celery seed extract as a natural therapy for this serious condition. Because high blood pressure is so widespread, it probably won’t surprise many people that drugs to treat hypertension are so numerous and there are many different groups of them, including ones like diuretics, calcium channel blockers and ACE inhibitors, just to name a few. Usually, a doctor will try to control someone’s blood pressure with a diuretic first (this brings down blood pressure through increasing urination). But since nearly three-quarters of patients cannot control blood pressure through this alone, they will often have to be put on two or more drugs to do this. The problem is that all these drugs come with side effects. Diuretics, for instance, can actually be hard on the kidneys and even cause kidney damage with long-term use. Other high blood pressure medications can cause dizziness when changing position, problems with potassium levels or even harm to the fetus if taken by pregnant women. That is where celery seed extract comes in. How Does Celery Seed Extract Work? Celery seed extract has been found to lower blood pressure naturally. This is because celery contains a number of phytochemicals, plant-based compounds that help to relax the walls of the arteries. 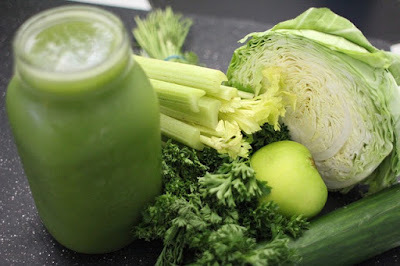 This is done by blocking the entry of calcium into the muscles which surround the arterial walls – in other words, celery is a natural calcium channel blocker (one of the most widely used high blood pressure drugs). A key compound in celery (and celery seed extract) is abbreviated as 3nB. It has been the subject of several studies to treat some of the more severe complications of high blood pressure, including strokes and vascular dementia. One study, published in the Natural Medicine Journal, studying the effects on patients with mild to moderate blood pressure problems taking a 75mg dose of celery seed extract daily. After 6 weeks, researchers found that systolic blood pressure (the upper number) had dropped 8.2 points and diastolic 8.5 points. This is a significant change. China has even gone so far as to develop a drug, based on synthesized 3nB, to help treat stroke impairments and help prevent dementia, which can often be caused by impaired circulation of the blood. The best part? While many prescription medications can leave patients feeling tired or dizzy, the celery seed extract can actually improve blood flow to the brain, prevent stroke and support healthy brain cell function and improve energy levels. It has also been found, in laboratory studies, to not have toxic side effects even at very high doses. So, consider the use of celery seed extract in your diet if you suffer from high blood pressure. This extract appears to be as effective as mainstream drugs but without the harmful side effects.